Since the arrival of Intel’s Z170 chipset, storage manufacturers have been producing numerous M.2 SSDs to replace the SATA-based SSD market which appears to have now plateaued. There are obvious benefits to NVMe over SATA – the 550MB/s bottleneck has now been breached by utilising PCI Express Gen 3 x4 and on offer are transfer rates which can completely transform workflow for both the average user and workload professionals. High bandwidth and low latency is the name of the game here! NVMe uses lower latency and can handle up to 64K queues and up 64K commands each while SATA and AHCI can only handle 1 queue and 32 commands each – the benefits are clearly evident. Samsung recently announced their new 960 PRO; the next NVMe SSD to supersede their renowned 950 PRO. This drive builds on the success of the 950 PRO delivering Samsung’s 3rd generation V-NAND along with the new Polaris Controller. 960 PRO is available in 512GB, 1TB and 2TB editions and will be available to buy next month. Can Samsung outperform even the mighty 950 PRO? Let’s find out! 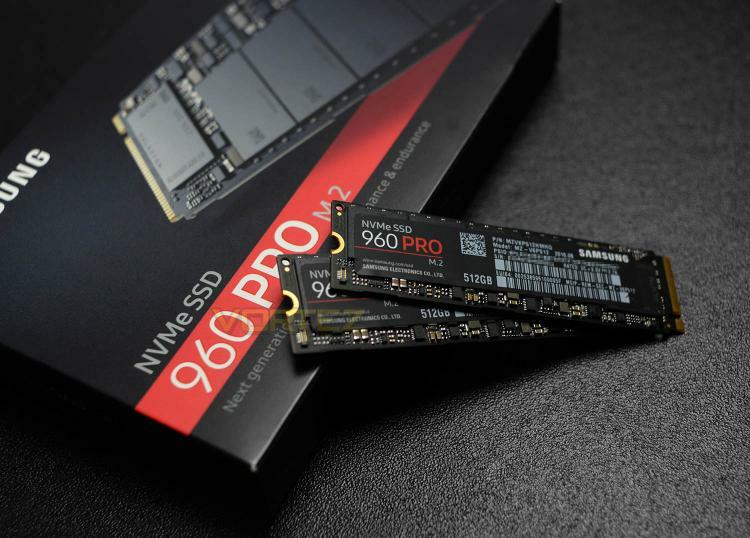 The new Samsung SSD 960 PRO is the 2nd generation NVMe SSD for Samsung’s client PC SSD. As such, the Samsung SSD 960 PRO is designed for professionals & enthusiasts that are seeking next generation performance and endurance. It offers the ultimate in performance, breaks storage limits for the m.2 form factor and banks on its solid reliability to offer customers the most advanced SSD technology currently available for client PCs Samsung’s unique and innovative V NAND flash memory architecture is a breakthrough in overcoming the density limitations, while improving on the performance and endurance of today’s conventional planar NAND architecture. V-NAND is fabricated by stacking layers vertically over one another rather than decreasing the cells dimensions and trying to fit itself onto a fixed horizontal space resulting in higher density and better performance utilizing a smaller footprint.